Jouw eigen Burlesque, Lapdance of Showgirl act ontwikkelen? Voor op het podium of als verrassing voor jouw partner of vriendinen. 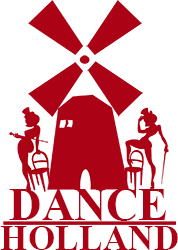 In 1 of 2 trainingen verzorgen wij de choreografie / setting van de act, de muziek, de training / coaching en de locatie. Helemaal in jouw stijl en gemaakt om in jouw eigen kracht te staan met een prachtige act. Tevens de mogelijkheid om bij ons het podium eens op te stappen om jouw act aan heb publiek te laten zien, who dares? To present your product in an art form, Dance! Transform your concept or product into movement and visual art! Choreographies in different styles of Dance. Choreography for Cabaret style shows for Theatre and Casino’s. This “Paris” style cabaret are great to present in small, atmospheric theatres and in casino’s. Choreography for Fashionshows, choreographing the models on the catwalk. Coaching models and children where necessary to have confidence and fun to walk a great show on the catwalk. We’ve choreographies organised and booked many beautifull models for fashion shows such as: Lee Jeans, Wrangler, O’Neill Europe, Autobeurs Brussels, Euretco, Mexx, Intres, L’Oreal. Choreography for dance – troupes! For singers who want to create a great club style show and perform with dancers on stage! We’ve created choreographies and club style shows for great artists such as: DJ Roy Gates, SNAP, Ewan Mack/”Camen” Boyband, DJ John Marks, Louisa Baegen “De Foetsies”, Puff Johnson, T-Spoon, Gordon, Rene Froger, Harold Verwoert “Dexx”, and Kim-Lian (2 Videoclips). Perfect nights of entertainment for hotels and resorts around the world. Every night a different theme show. We’ve created every night shows for: The Mehlia, Barcelo, The Westin (Nikki Beach), Las Palmas, Pelicanos, and Dreams Resort (Mexico). Latin shows – Salsa!, Mambo!, Samba!, Merengue! Streetdance!, Hip-Hop!, Breakdance!, Poppin’ ‘n Lockin’! Cabaret!, Le Lido!, Fossy Style!, Showgirls!, ‘Moulin Rouge’ style!